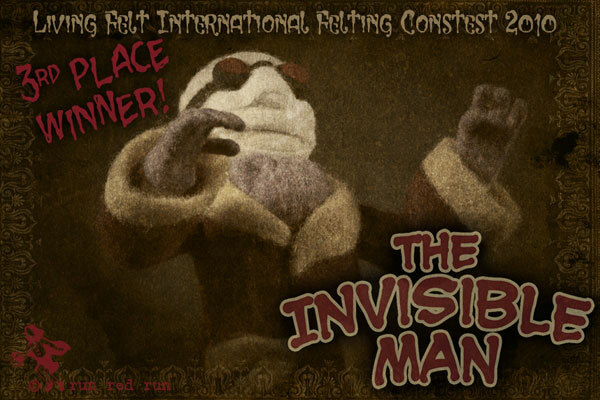 The Living Felt International Felting Contest 2011 winners are announced! 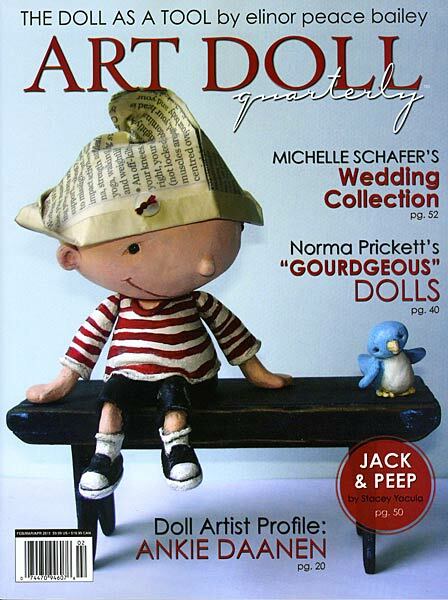 This year had a lot of entries in both the doll and Dr. Seuss inspired categories. They were excellent examples of needle felting. Everyone did a great job and I really enjoyed looking over all the entries. 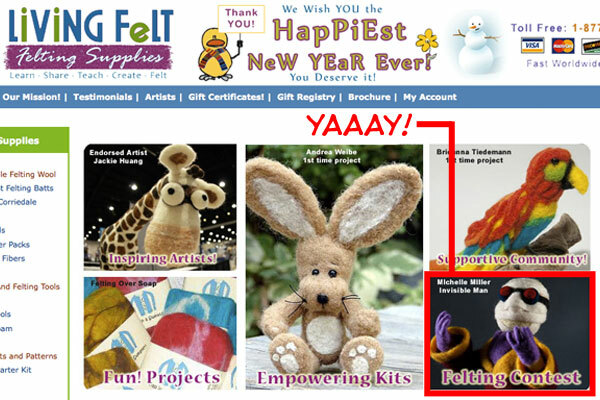 You can find the winners and all the entries on the Living Felt site http://www.livingfelt.com/feltingcontest2011-dolls.htm. Congratulations to the winners! 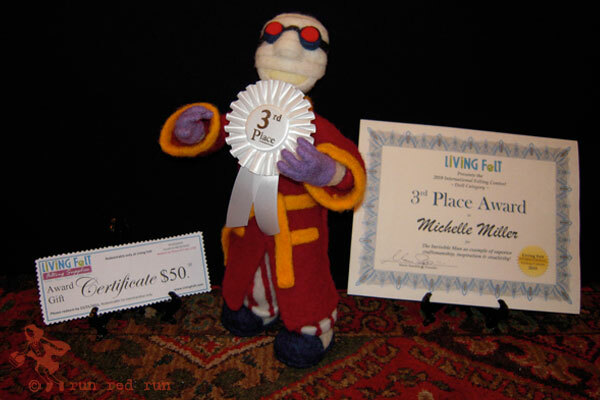 Here’s my Invisible Man doll showing off the 3rd Place ribbon he won in the Living Felt International Felting Contest. He’s such a ham. Also in the photo are the Award Certificate and Gift Certificate that the nice people at Living Felt (http://feltingsupplies.livingfelt.com/) sent me. It was such a nice surprise to come home to. When I pulled the package out of my mailbox it was like winning the prize all over again. I can’t thank them enough. I’m sure I’ll use the gift certificate in the next few days to purchase more supplies and begin a new project. The positive jolt I got from winning 3rd place really got my creative juices flowing. Maybe I’ll scrapbook the award certificate, or frame it. And the ribbon might look nice displayed over my workshop desk…if I can convince my little friend to give it back.